DEA awards contract to Magritek Inc. to supply 80 MHz benchtop NMR spectrometers complete with autosamplers for forensic applications. Malvern, PA, USA, 4th December 2018: Magritek announces that it has been awarded a major contract by the US Drug Enforcement Administration (DEA) for two Spinsolve 80 Carbon benchtop NMR spectrometers. The purchase was made through a competitive award process and will allow DEA laboratories in Virginia and California to utilize the latest benchtop NMR technology to assist in forensic analysis applications. Confirmed by Dr Robert, Magritek were able to meet all requested criteria of the contract. Magritek’s Spinsolve benchtop NMR spectrometers are supplied worldwide to chemists in industry and academia for research and reaction monitoring through to quality control use. 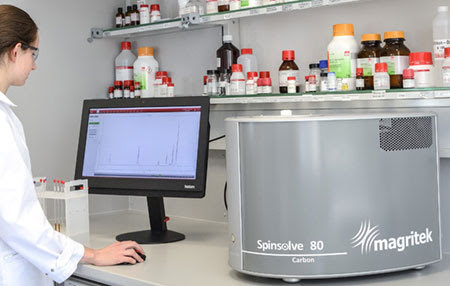 You can obtain full details of the Spinsolve 80 Carbon benchtop NMR spectrometer here.